Ontario expects up to 1,000 cannabis retail stores could open in the province after it unveiled new regulations aimed at ensuring the smooth transition of legal pot sales to the private sector, according to a government official. The official, who spoke under condition of anonymity, said the government determined a hard cap on 75 stores for each retailer based on the assumption that the province could support as many as 1,000 stores, or about 7.5 per cent of the market. The cap is similar to Alberta’s rules that dictate one business entity will not be allowed to own more than 15 per cent of the stores. 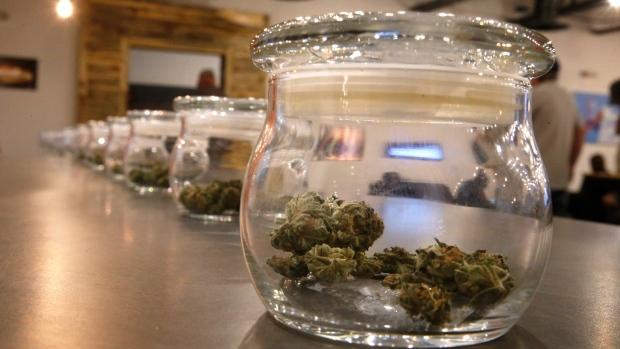 Additionally, the province’s cannabis regulations also mean that pot retail stores are allowed to open up shop in shopping malls, the government official said. Allowing pot stores to open in shopping centres could potentially give a significant lift in sales and foot traffic to malls which have recently faced pressure from online retailers. The regulations also stipulate that a licence to operate a cannabis store will not be given if the investment in the retailer exceeds 9.9 per cent by a pot producer or one of its affiliates, the government official said. Meanwhile, Ontario expects to book a loss operating the province’s online cannabis store while expecting to generate lower-than-expected tax revenue from pot sales, the government said in its fall fiscal update it released Thursday. The province said in an itemized list of its finances that it will lose $25 million in the 2018-2019 fiscal year operating the Ontario Cannabis Store while receiving $17 million in revenue for its share of the federal excise tax applied to each cannabis sale in the country. Earlier projections showed Ontario was expected to make $35 million in tax revenue in the first year that cannabis was legalized in Canada. The fall fiscal update comes a day after an update from the Ontario government on regulations surrounding the sale of cannabis in the province by private retailers. The government said in a release on Wednesday that the pot stores can be open any day between 9 a.m. and 11 p.m., but they must be at least 150 metres away from schools and prohibit entry to anyone under 19 years old. The OCS, which remains the only way for residents in Ontario to purchase legal cannabis, has been plagued by a series of setbacks since cannabis was federally legalized on Oct. 17. Despite generating more than 220,000 orders in less than a month, the province’s ombudsman said it has received more than 1,000 complaints from customers frustrated by delays, billing problems and poor customer service. A spokesperson from the Ontario Cannabis Store directed questions about its operations to the provincial finance ministry.